3. 1969 Jul 30 - Departed Vietnam. 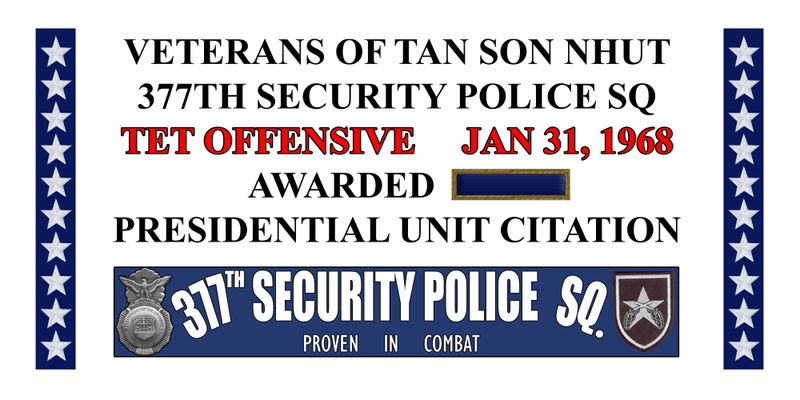 When I left Vietnam and then ETS’d from the USAF, I had not been made aware of some awards I had earned while assigned to the 377th Security Police Squadron, Tan Son Nhut Air Base, Saigon, Vietnam. Now I am aware of three awards, I believe that I am authorized to wear. 2. 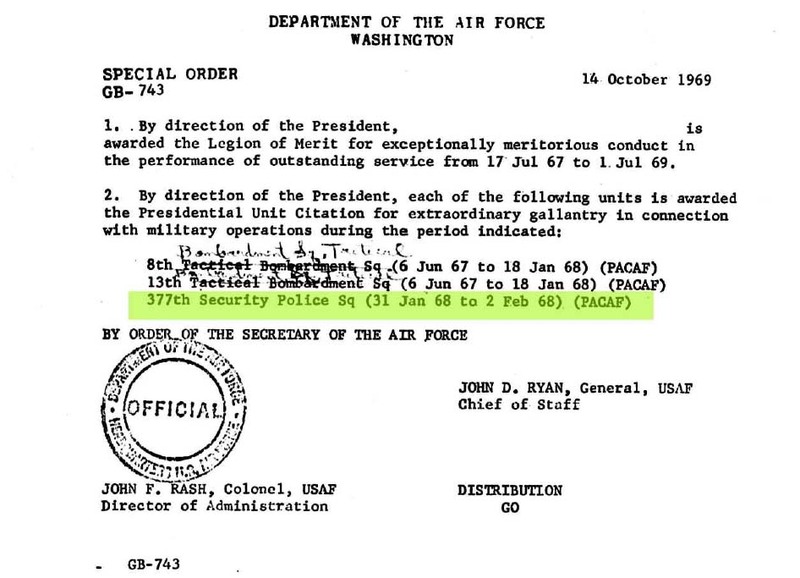 USAF Form DD-149 must accompany the request. 4. 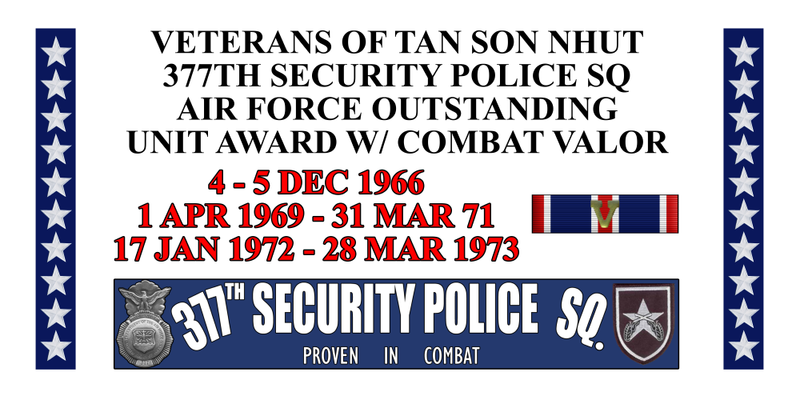 377th Security Police Squadron, "Lineage and Honors"
377th Security Police Squadron Web Page. Copyright © 1998 - 2014. All rights reserved.